What is it all about and why should I bother? I think in this modern digital age it is imperative to connect to the wider world through social networks and digital mediums. I also think that as a PhD student it is up to me to communicate about (my) science and academia to as many people as possible, covering both people within academia and to the wider audience. It is for these reasons that I have decided to set up this blog and I have chosen to focus on three main themes: 1) my research; 2) other science; and 3) university life. Huh,….intended for the wider audience he said….doesn’t seem like that. Whilst the themes would appear to be biased towards those in the academic world, this is not their purpose. Each blog will aim to present an interesting topic in an easily accessible format and therefore, be of interest to the non-specialist reader. I will also add in as many links as I can, so if you would like to find out more information you can. By doing this I hope to open up ‘science’ to an audience which may not have engaged in this material otherwise. Further, I have added a page with a whole range of links to various other resources which you can access, as well as a gallery containing some of my favourite HiRISE images of Mars for you to enjoy. My research: At present I envisage a lot of this blog will be dedicated to my current research, after all it is my job. I will present my PhD research as well as other Mars related topics. In particular I will report on any conferences I attend, or journal publications to which I am involved. But do not despair, I do not love myself that much that it will become annoying…..I hope! 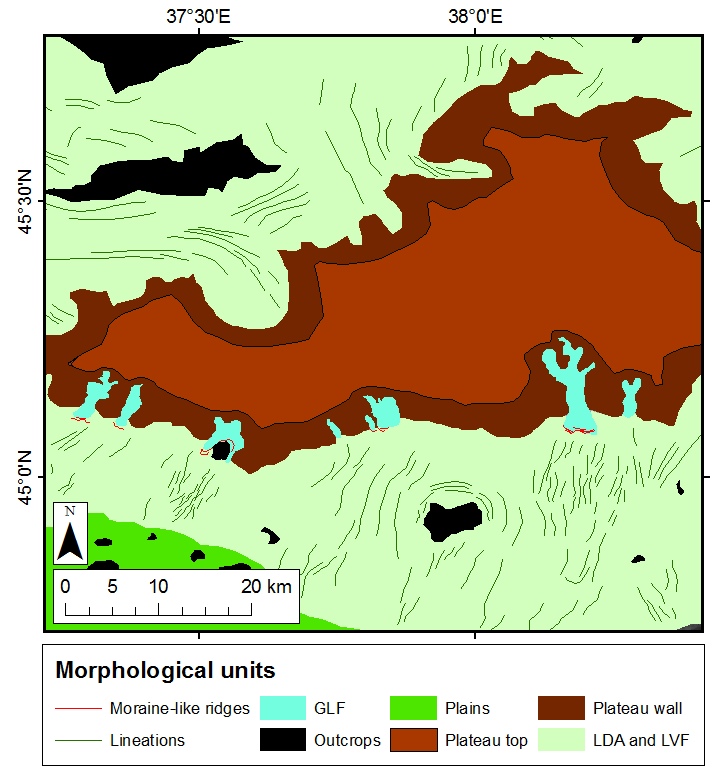 Geomorphological map of landforms in Deuteronilus Mensae, Mars. Other science: As much as we all might like to think otherwise, other people are also doing some pretty amazing stuff. It is under this theme where I will blog about other research which I come across. There will be a more generic scope of science covered and it may be that I link into other people’s blogs, but please make sure you come back afterwards! I will also highlight any interesting research which other colleagues at Aberystwyth University have been up to. 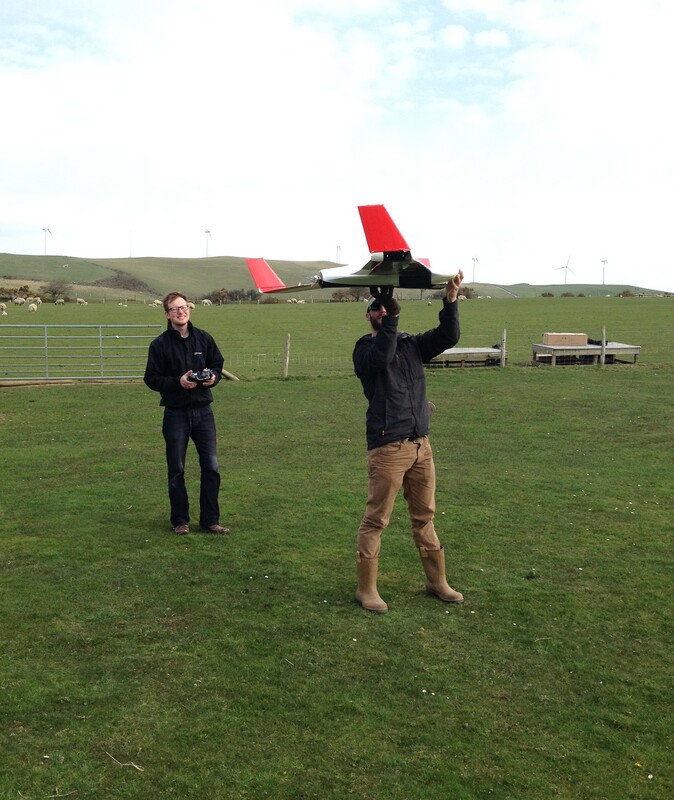 Test flying an unmanned aerial vehicle for a colleague’s project. University life: This theme will be a little more personal than the rest. Whilst I will try to keep it as subjective as possible, I think it is important to provide information to others on my experiences of university. I will try and keep these updates in line with deadlines (although most universities have different dates), and will look to provide tips which might help you make up your mind, I know I would have liked a few. I hope this section will be useful for those who are thinking of applying to study at university (both undergraduate and postgraduate), and those already at university (i.e. thinking of study abroad). The need for this section of the blog became apparent to me only recently after teaching first year undergraduate tutorials. 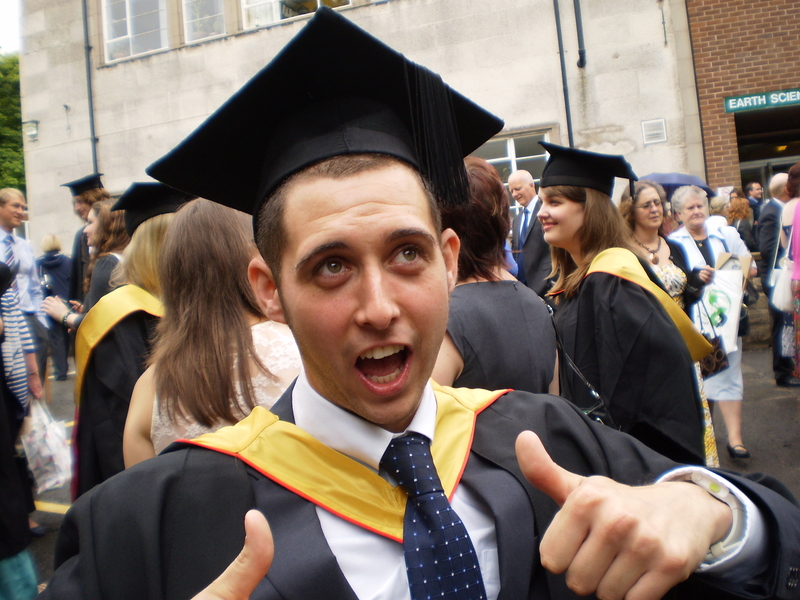 Just to prove I did graduate, here is one from my undergraduate days.